Check out this team of Skin Champions! Lahey Hospital and Medical Center spreading the news about Pressure Ulcer Prevention. The best practice is PREVENTION. Thank you Skin Champs! 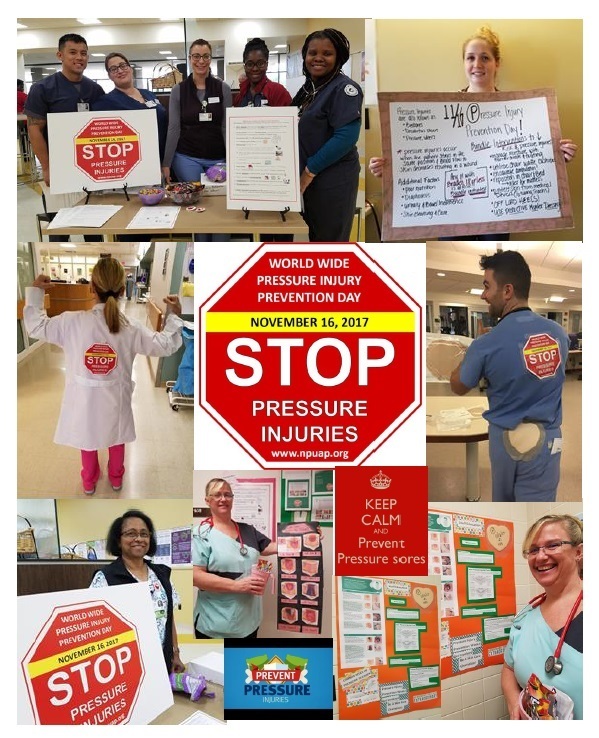 What did your organization do for World Wide Pressure Injury Prevention Day? Preventing pressure injuries is essential to all our practice settings. Pressure injuries complicate our patients already compromised health status, cause pain and suffering, increase hospital stays, consume a great deal of available resources. We all know that preventing pressure injuries is in everyone’s best interest, especially our patients. Taking time out to focus on this issue is a worthy investment. In these “lean” times how are you managing meeting the needs of your patients while conserving resources, both material and staffing? Who do you enlist to help? How are you keeping up with the new products and changes in regulations. Chime in! We would love to hear and share your accomplishments.